I have some exciting news to share this week. First, for those who follow my blog you may have noticed some changes. I did a little blog makeover, and added a new blog header. I hired a local college student (Susan) who is going into graphic design, to design the new header for me. I am loving it, I hope you like it too! I'd love to hear what you think about the new design. My next exciting news, is on my injury. The other day I walked a full mile, and the best part is no pain during or after. I am waiting a few days to make sure nothing sneaks up on me, but if no increase pain and signs continue to point toward it getting better, I'll start adding walking each day. To be honest, this is kinda against the Dr. and PT orders. I also have a sneaking suspicion since I way over did it at a wedding set up, and hurt it horribly that day, that possibly a few things that needed stretching, did just that, stretched.. I have no other explanation as to why it would take a significant move towards healing only after I overworked it so excessively! Onto the next great news. You may have remembered I mentioned last week that I am working on my weight gain problem, which happened mostly during the past year as I have not been able to be very active. Okay, so reality was, I wasn't able to be active at all for the past 6 months, and not much the 6 months before that! Well I have been being super strict with myself, I have just over 50 days until that cruise, and I am going to loose every pound and inch I possibly can before I go! I'm pretty stoked! 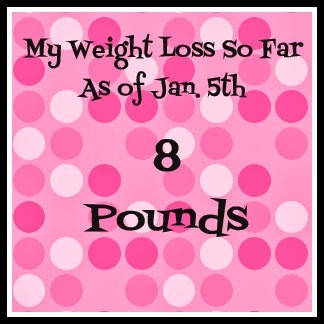 I knew the first ten pounds are going to be the easiest to drop (I know my body), but the next ten are going to not going to drop as fast. Because I can't workout like I would like, and cardio isn't really an option. I don't have to worry about keeping my calorie intake up to make up for the energy I am loosing or need to workout. I'm not calorie counting exactly, but to put it bluntly, I dropped my calorie intake significantly. I guess you could say a round about number for my daily calorie intake now is around 1,000. If what I am doing keeps working, I'll share it will you all in the coming months. But don't worry, its completely safe and healthy! I successfully went through last week with only drinking soda 1 day, and I only ate out once. I've up'd my water intake significantly! Likely most the weight loss, is from the lack of sugar in the soda I was drinking before. I've even pulled out my old favorite water bottle. It's kinda cool, it measures my water intake and tells me how much I should be drinking, how much I have drank, it paces you so you don't drink it all at once, but more throughout the day so you're not spending the entire day in the bathroom. I've owned it for a few years, but haven't used it in a while. But this week, the battery on it is going to get some use! 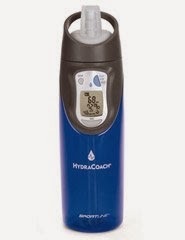 You may have heard about it, its the Hydracoach by Sportsline. I don't know what they cost these days, but I remember when I bought it, it was a little pricey. So far 2014 is turning out to be so much better! I really think I was cursed last year, I wasn't superstitious before, but I am now, the number 13 isn't such a good number for me anymore:) Either way, I am super excited to see what 2014 is going to bring! So that's about it right now:) What's been going on in your life? If you'd like to link up below, you are more than welcome to. 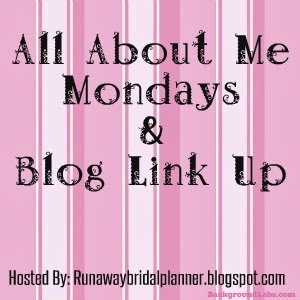 If you link up, its not required, but it would be nice if you visit at least 1 other blog linking up. But as always, you have my guarantee if you link up, I'll be stopping by your blog and sharing some comment love! !